L/Ac Orchard (Part Time Air Gunner) returned to 82(B) Squadron from North Coates on 12th December 1937, and prepared to settle in to what probably appeared as a steady occupation for the remainder of his service with the RAF. The routine of promotions and postings continued for the first few months of 1938, and then on 11th March the squadron began to re-fit with its new bombers, Bristol Blenheim aircraft which were being collected directly from the factory. The delivery was complete by 23rd March, when a total of 12 aircraft had arrived. A further 4 had been allotted as reserve. The old Hind aircraft were then sent elsewhere, probably to one of the Reserve or Training squadrons. The Blenheim was one of the first 'modern' bombers to enter RAF service. It was, of course, a monoplane, and had been derived from a fast transport aircraft called the Bristol 142. The Blenheim first appeared in 1935, and RAF squadrons began re-equipping with it in 1936. It was powered by two Mercury VIII engines, giving it a speed of some 285mph at 15,000 feet, with a service ceiling of about 27,000 feet. The Blenheims were much larger than the Hinds they replaced, being 37ft 9ins long with a wing span of 56ft 4ins. It carried twice the bomb load (1,000lbs) and was better armed, having five .303 Browning machine guns. 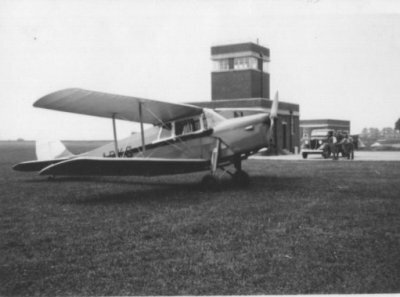 The aircraft were operated by a crew of three. The arrival of the new type at 82 Squadron would have kept the ground crews busy for some time, familiarising themselves with a machine completely different from the old biplanes. July 1938 saw Harold experiencing a new RAF post, this time at West Freugh on the west coast of Scotland. Between 1st and 23rd of that month the Squadron moved to No.4 Armament Training Station for annual training. 12(B) Squadron, now equipped with Fairey 'Battles', were at West Freugh at the same time, and no doubt Harold spent some time catching up with the news from his old Squadron. 82(B) had now grown in size to an establishment of 16 Officers, 4 NCO Pilots, 12 Senior NCO's and 114 Corporals and AC's., and on 10th September its aircraft strength was increased to 21, the extra planes again being collected from the Bristol Aeroplane Company. Routine continued for the remainder of 1938, although by now it must have been becoming apparent to everyone that War was no longer a remote possibility, but rather a definite probability. Chamberlain's appeasement of Hitler at Munich on 29th September had at least given Britain a breathing space in which to continue the strengthening of her Armed Forces. Surrounded by this tension and activity, life in 82(B) continued, and in December a new Badge and Motto ('Super Omnia Ubique') were approved by the King. At the end of the month squadron strength had risen to 17 Officers, 5 NCO Pilots, 17 Senior NCO's and 147 Corporals and AC's. 1939 saw Harold stationed for a short time close to home. On 30th January the Squadron 'proceeded by road, rail and air' to No.6 Armament Training Station at Warmwell, Dorset for annual training. Squadrons at Warmwell frequently used the area around the Fleet and Chesil Beach for their bombing practices, and no doubt Harold's father would have been aware of 82's activities as he worked at Portland Dockyard. The Squadron returned to Cranfield by the same forms of transport on 17th February. During this period, on 3rd February, S/Ldr Pleasance, who had commanded 82(B) since its formation, was posted to Headquarters Bomber Command. His place was taken on a temporary basis by S/Ldr S.R Groom, who retained the post until July, when Wing Commander S.H.Ware was posted as Squadron commander. Routine continued for a few more weeks and then the looming shadow of a European War was cast over the squadron. In March 1939 Hitler, if he had not done so already, tore up the Munich Agreement and occupied Czechoslovakia. Britain seemed on the verge of war, and prepared for mobilisation. On 21st March, Cranfield Station took part in a 'Minor Home Defence Exercise', the first of several over the next few weeks. 82 Squadron's Operations Record for 26th March reflects one such exercise. At 11.00 hours all leave was cancelled; aircraft were ordered to taxi to dispersal areas when the alarm sounded; and the squadron was ordered onto standby. By 14.00 hours the squadron was on full standby, and all personnel were returning from leave. After a time these exercises were toned down, and routine returned more or less to normal. On 20th May Empire Air Day came round again, and 82 Squadron took part in the Cranfield programme. 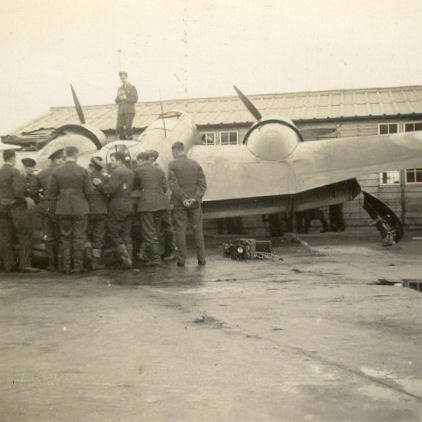 In addition, a detachment of three aircraft gave a demonstration of low level bombing at Luton Municipal Airport. 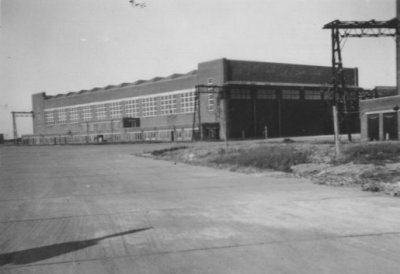 On 8th July another such airport opened, at Birmingham, and the squadron gave another low-level bombing display. Meanwhile, more preparations for war were in evidence, as during June personnel from the squadron began ferrying Blenheim bombers to Egypt, from where they were to play a major role in the Desert battles over the next four years. On the 19th July the last major event of Harold's career as an Aircraftsman took place when the squadron provided nine aircraft as part of a mass flight over France arranged by the RAF. Harold had decided some time previously on a change in the direction of his RAF career, and in July he was posted to begin perhaps the most exciting, challenging and, ultimately, tragic phase of his life.